One of the things I loved about teaching was the energy required to keep a class attentive, on task, and not bored. And the reciprocal energizing thrill of watching them catch on fire. Because a room full of teenagers who are engaged and excited about what they are doing is the most fun thing in the world. And of course I loved having a captive audience, so to speak…. for stories, and tales from my childhood and very bad jokes. Especially junior classes, like grade nines. I always loved my grade nines. And their groans at my bad jokes. Me: What did the literary chicken say when he crossed the road? Class (rolling eyes): We don’t know Ms Burpee. What DID he say? Me: Well…. (Tucking my hands under my arms and flapping to simulate wing action. )…Where did I put my book, book, book? Class: Groan. Followed by major eye rolling. Sigh. I miss those jokes. So when Hubby asked me yesterday what I was writing my blog post about, I flapped my arms and said, “Book, book, books.” I must say a seriously major eye roll followed that line. So, book, book, books. I read a few books this summer. Some that I mentioned in earlier posts that I was going to read. Like Paula McLain’s latest novel, Circling the Sun. I enjoyed McLain’s fictionalized take on Beryl Markham’s life, although maybe not as much as I did The Paris Wife. 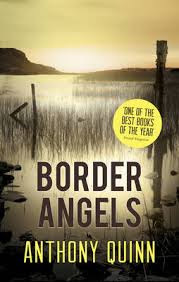 McLain’s prose is spectacular, her use of imagery evocative and moving. I wasn’t surprised to find out that she travelled to Africa when she was writing this book. No one could describe the sunrises, the exact look of the mountains in the far distance, or the flash of a bird’s wing so confidently without having seen them in person. I adore McLain’s writing. 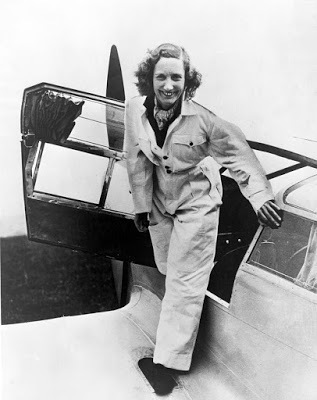 And I loved her ‘character’, Beryl Markham. I did find that the plot faltered a bit in the middle. Perhaps one too many tales of unwinnable horses winning races? I can’t remember exactly where it was in the book that made me want to give up on it. But in the end, I’m very glad I didn’t. Have a look at this review of McLain’s novel by Alexandra Fuller from the The New York Times. I may not agree with Fuller’s take on either of McLain’s books, but her review makes for entertaining reading. It’s very witty and acerbic. And interesting considering that Fuller herself wrote three memoirs of Africa. 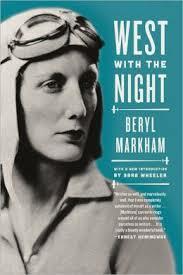 And speaking of memoirs, at the moment I’m reading Markham’s own account of her life, West with the Night. Now this one is a bit of a slog. It’s less a narrative than a semi-chronological series of vignettes about her life. There’s no question that Markham’s writing is beautiful. And her descriptions of those things she loves, Kenya, horses, flying, are poetic. There is a feeling of absolute finality about the end of a flight through darkness. The whole scheme of things with which you have lived acutely, during hours of roaring sound in an element altogether detached from the world, ceases abruptly. The plane noses ground-ward, the wings strain to the firmer cushion of earthbound air, wheels touch, and the engine sighs into silence. The dream of flight is suddenly gone before the mundane realities of growing grass and swirling dust, the slow plodding of men and the enduring patience of rooted trees. But the problem with poetic prose is that one can get too much of a good thing. Markham’s memoir renders every action and each description in an impassioned and reverent tone, too infused with the sombre tones and heightened emotion of heroic mythology for my taste. And this can be a bit wearying for the reader. If her book were a film, every scene would be in soft focus with music that wound up to a crescendo. Phew. After a few chapters I needed a rest. I’m certainly glad I read McLain’s novel first. Otherwise I might not have been able to fill in the very large blanks that Markham leaves in her narrative. 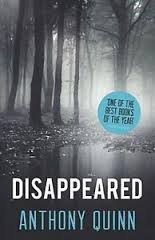 I’m on page 175 of 293, and so far there’s been no mention of her mother’s abandonment, her father’s new partner, Markham’s own husbands, or the birth of her son. It’s all boar hunting, horse training, and flying. A bit like the stories in those 1930’s Boys’ Own Annuals of my father’s I read when I was a kid. Still, I will persist with this book as well. If only for the poetry. 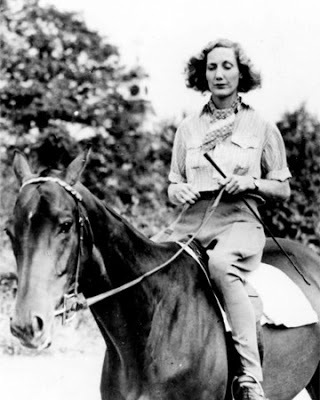 Besides “reading round the subject” of Beryl Markham, I’ve also been reading about reading, so to speak. Looking for new adventures. I came across this list from Time Magazine, “The Best Books of 2015 So Far.” The first book on the list is Kate Atkinson’s latest, A God in Ruins; it’s already on my own “To Read List.” But I didn’t see anything else that struck my fancy, not being interested in music piracy, the Boston Marathon bombing, or Alice Liddle’s relationship with Charles Dodson, aka Lewis Carroll. Or survival of mankind as a species…well, except in a practical sense. But I don’t really want to read a sci fi which depicts that scenario. And I’m particularly NOT interested in the one that was described as “ruminations on death” and short bits of prose “inspired by [the author’s] replies to fan tweets.” Blah. Who picks these books? But, I know there are tons of great books out there, that I don’t yet know about, and which I will want to read. So I carried on my search. And I found this article, “Best Books of 2015,” from The Telegraph. Much better. Lots of scope here. I’d never heard of Anthony Quinn, except for Zorba the Greek. But apparently he’s a Bristish mystery writer whose books appear to be right up my street. 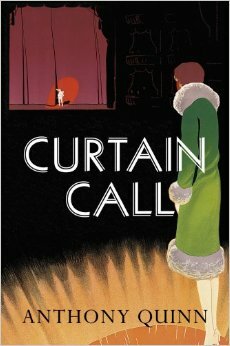 Of Curtain Call, Dominic Maxwell (of The Times) says: “It goes from gripping you lightly to gripping you tightly.” Hmmm. In other reviews, Quinn is praised for his historical detail, witty style, and for not lapsing into the cliche “cosy” genre. You can read Viv Groskop’s review from The Guardian here, if you like. I particularly love the cover art. That green coat is lovely, isn’t it? But sadly…I couldn’t find Curtain Call, or any of Quinn’s other books at the Ottawa Public Library. They frequently don’t stock lesser known mystery writers from across the pond or from the southern hemisphere. I’ve looked in vain for several of my favourite Australian writers. But I did find another Anthony Quinn at the OPL. Wow…too many Quinns! In trying to figure out which Anthony Quinn was which, I found that the other guy is an Irish writer, and his novels are set in Northern Ireland. Could prove interesting. So I ordered two of his books and I’ll let you know what I think. Maybe, if I’m lucky, they’ll be as good as Adrian McKinty’s novels, which are also set in Northern Ireland. 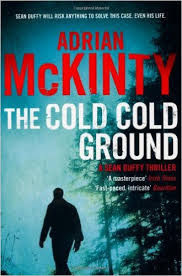 I’ve read all of McKinty’s “Troubles Trilogy” and loved them. He really is a talented writer. 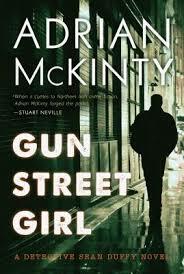 And when we came home from France in June, I read his latest in what now has to be described as the “Troubles Series.” Gun Street Girl picks up where In the Morning I’ll Be Gone leaves off. 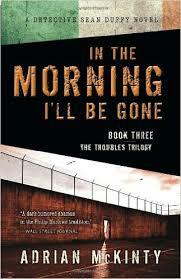 And just like the other three it’s gripping, and melancholy, and terrifically entertaining. Still, I do wish that poor Sean Duffy could find happiness. But back to the “Best of 2015” list from The Telegraph. 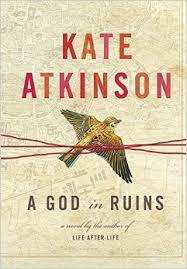 I should say that Kate Atkinson’s book made this list as well. Seems she’s on everyone’s list. There were several other works of fiction that I will keep a look out for, and a few non-fiction. I’m not much of a non-fiction reader, but I do read a few every year. And this one by Virginia Nicholson caught my eye. And you guessed it… not at the OPL either. But I did find (and ordered) another of Nicholson’s books called Millions Like Us: Women’s Lives in War and Peace. 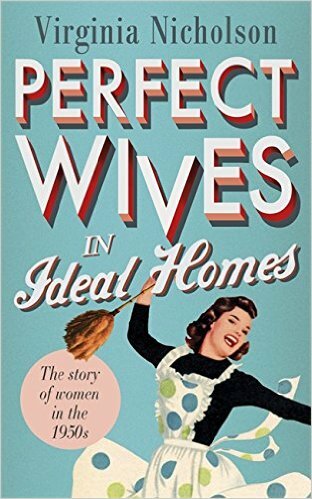 It seems in this book, like in Perfect Wives in Ideal Homes, Nicholson combines historical fact and statistics with first person accounts of women who lived during the era. 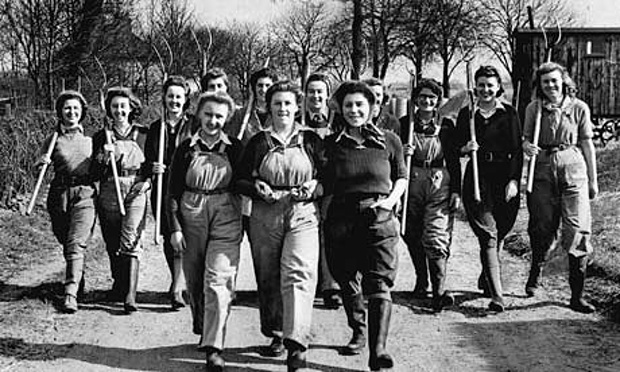 She uses interviews and diaries to depict the lives of women from 1939 to 1949. And I think based on this enthusiastic review in The Guardian, that I’m going to enjoy it. Girls and their pitchforks…you gotta love this shot, don’t you? Let’s hope that the Anthony Quinn mysteries and the Virginia Nicholson book don’t disappoint. I had great intentions when I wrote this post at the beginning of the summer to enjoy ALL the books I was going to read. Sigh. But Vendela Vida’s The Diver’s Clothes Lie Empty was exasperating in the extreme. I finished it only to find out what had happened to the main character (known only as “you”) to make her act so off the wall. And I seriously could have punched a wall upon finishing. That’s if I were given to physical temper tantrums, which I’m not. Sheesh. What a waste of my time! And the Philippe Georget mystery Summertime All the Cats Are Bored should have been good, but wasn’t. Maybe it was the clunky translation, I don’t know. I put it down about a third of the way through. The other day over coffee, my friend Jane was extolling the virtues of Marie Kondo’s book The Life-Changing Magic of Tidying Up: the Japanese Art of De-Cluttering and Organizing. Jane said she had tried the KonMari method and rid herself of tons of unneeded clutter and unloved junk. Stuff that did not “bring her joy.” Yep. Thanks for that, Jane. From now on, if a book, book, book I’ve started reading does not bring me joy… well, it’s a goner. Now if I could just get around to applying that principle to our basement. And since I started this post talking about chickens. This is me below. 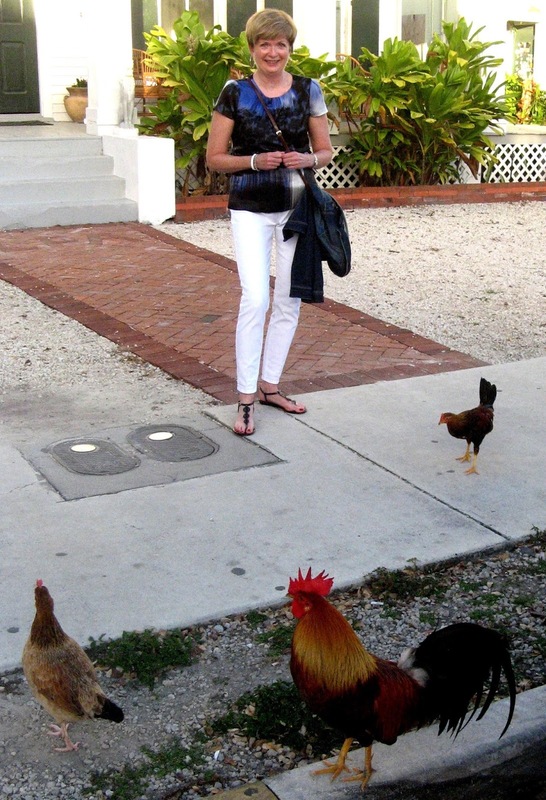 In Key West, the winter of 2014. Waiting for the chicken to cross the road… or the sidewalk. Well, actually, I’m hoping that it does not completely cross the sidewalk. And peck at my toes. Me and birds…. we don’t get on… but you probably know that. There are so many book, book, books out there. And I know that many of you are great readers. So, I thought I might try something a bit different with my book posts. I’d advertise (maybe in a gadget in the sidebar?) which book I’ll be writing about next. That way, if you want, you can read the book as well, and weigh in on it when I write the post. Like a virtual book club. But one where you don’t have to participate, if you don’t choose to. Well, beyond reading the post… hopefully. Anyhoo. Let me know, dear readers, if this is something which might interest you. I can always use book ideas, in whatever way you want to put them out there! I agree that Markham was a fascinating subject. I also agree that Paris Wife was more successful as a novel. I do love McLain's writing style, though. Her ability to place the reader in the setting with concrete imagery is wonderful, I think. But I do tend to focus a lot on style. Too many years of marking creative writing projects and correcting execrable style or pointing out to students how they might revise their work to make it tighter and more evocative….has made me extra sensitive to that kind of thing. Good or bad. Thanks for weighing in, Iris. 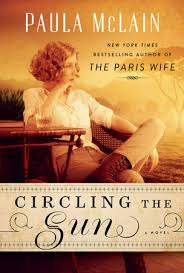 I have enjoyed many of your book suggestions and will be checking out Circling the Sun. I will certainly continue to follow on. Thanks, Christy. Hope you enjoy Circling the Sun. Not a perfect book…but worth reading. I'm in a book club and find that it steers me to read books outside of my favourite authors. Thanks for your reviews, comments and suggestions. Have you read any of Liane Moriarty's books? She is Australian and a new author to me, I've read two (the last one was Big Little Lies) and found the cross between comic and drama keep me turning the pages. They are very light reads. THanks, Cate. I will definitely look for that writer. Book, book, book indeed. I enjoyed your reviews and could relate to the teaching teenagers. I taught high school English (10th graders) and junior high school Reading (8th graders) for a few years after getting my degree and before having my fourth child (at which point something had to give – so it was the public school teaching). I so enjoyed those kids and seeing them "get it" now and then. I used to have a plug-in that was a carousel that featured books I was currently reading, or had finished. Oh wait – it was an Amazon widget that I added to my WP sidebar. Readers seemed to enjoy it…maybe that would work for you? Wow..I can't imagine teaching and having four kids at home. That would be difficult. Thanks for the suggestion Barbara. I will see if I can make something like that happen with my Blogger template. A question, Barbara. Was the widget you used a monetary one? I saw several that were listed as "Amazon associate" widgets, where bloggers were given a percentage of the cost of the book. Is this what you used? I would enjoy a virtual book club. This summer I devoured all of the Barbara Pym in the local library, The Goldfinch, and am just wrapping up Greengage Summer. I listen when others recommend favorite books as I too like the challenge to read outside my typical zone. Thanks for the great leads! You're welcome, Kim. Feel free to pop back to let us know what you though of them. Maybe I should do a reader response post. Hmmm. I just must say , I love the chicken photo , such fear there . You look like you are about to scream & race off . I can't understand such a phobia – now if it were moths !!! I'm still catching up with all your posts (is that the correct word?) as I just discovered your Blog 3 days ago, but so far everything I've read, I really identify with. BTW I live just north of Toronto so I totally understand the coats and boots challenges. Just how many coats/jackets do we actually need in Ontario? A lot! 1. I now have an extensive reading list thanks to you. That's a good thing as we recently moved and I now have a library within walking distance. 2. I have a new pair of earrings being shipped from Anne-Marie Chagnon. I have a few pieces of her jewellery purchased years ago which I had forgotten about. 3. I completely relate to outfit choices from menopause moments and I need more Sunday casual looks. Since I no longer go into an office to work, I've struggled with what to wear and made many purchase mistakes. Oh, how I miss wearing a suit. Now I have some ideas for jeans shopping and outfit ideas. Wow… you have been reading! Glad you are enjoying the blog. Anne Marie Chagnon stuff is great, isn't it?